Justine is a good friend of my daughter. Sadly, they don’t see each other as often as they used to because Justine already transferred to another school (just like their other friend Jessley). My daughter promised her friends to draw their portrait as her Christmas present to them. True to her word, my daughter finished the drawings on time and send it to her BFFs on Christmas Eve. 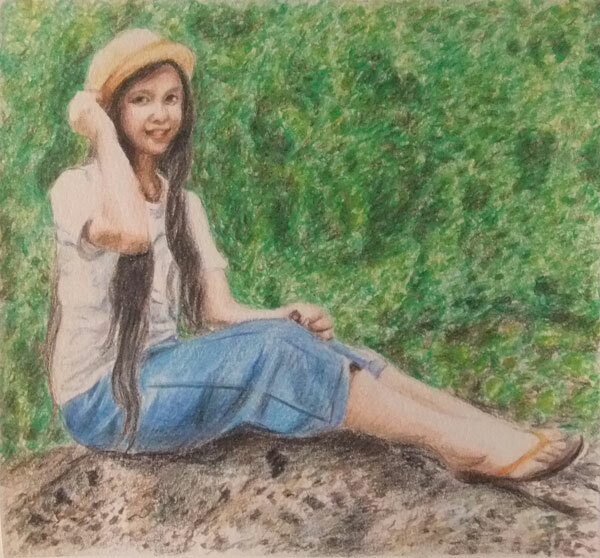 This entry was posted in Artwork and tagged artwork, justine portrait, portrait on December 25, 2011 by Yami.